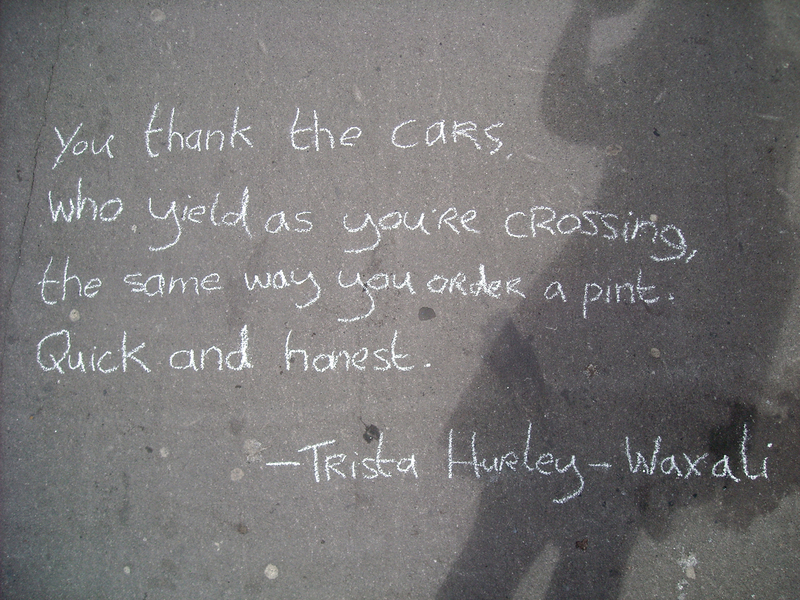 the same way you order a pint. 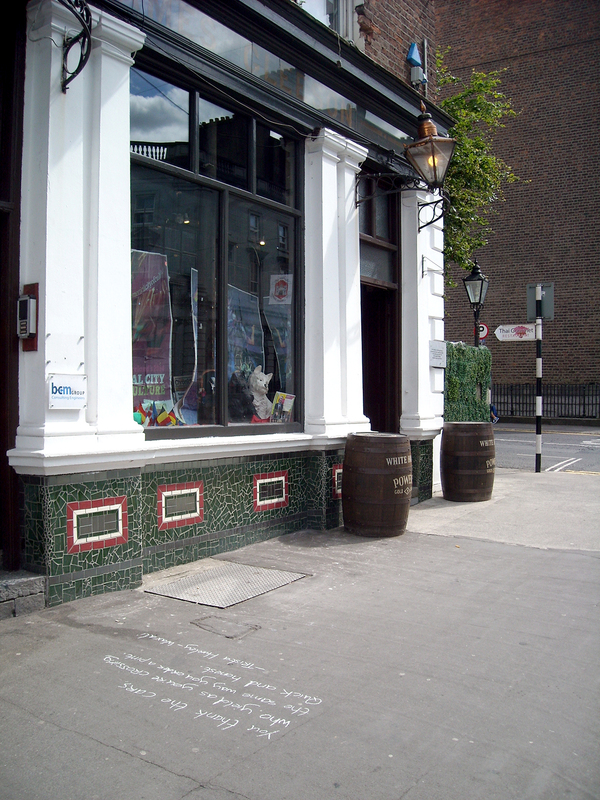 This entry was posted in Uncategorized and tagged Chalk, Limerick, O'Connell Street, poetry, Socially Engaged Art, street, street line critics, Trista Hurley-Waxali, White House pub, writing. Bookmark the permalink.